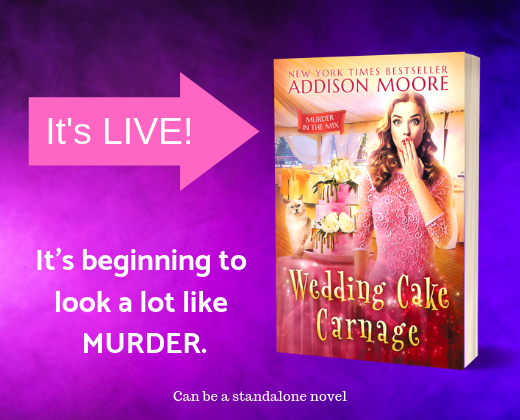 Wedding Cake Carnage is LIVE! WEDDING CAKE CARNAGE is LIVE TODAY!!! I promise you will have one wild ride through the haunted streets of Honey Hollow. And you can read each book in the MURDER IN THE MIX Seriesall by their lonesome, so not to worry if you haven't begun.